The West Poplar Point School District was established in April 1873, making it one of the oldest rural districts in Manitoba. 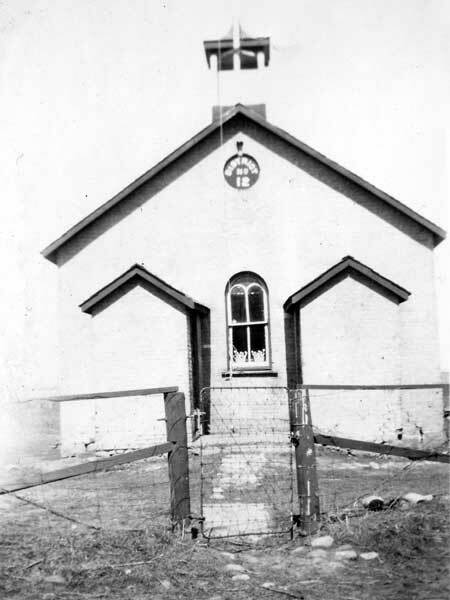 A log schoolhouse was constructed near St. Anne’s Anglican Church, in what would later become the Rural Municipality of Portage la Prairie. A new school building was later located on Parish Lot 58, about two miles west of the village of Poplar Point on the north side of Highway 26. The district was dissolved in 1967 and its land became part of the Portage la Prairie School Division. There are no remnants of the former school at the site. The teachers who worked at West Poplar Point School through the years included Miss Totten and Miss Cox.